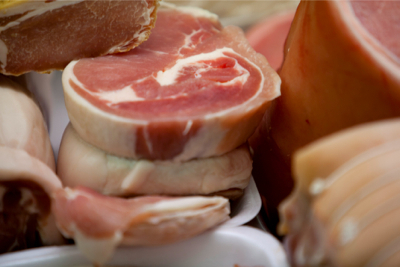 We use the same top quality free range pork to produce our sausages and bacon. 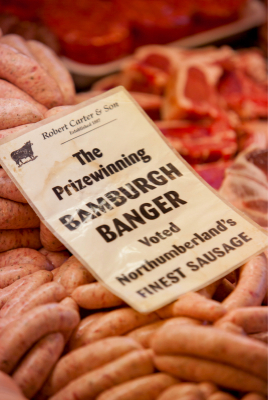 Voted Northumberland’s best sausage. Our best seller available in either thick or thin links, great for grilling, frying or barbecuing but substantial enough to put in a casserole. A sausage for the connoisseur which received first prize in the Northumberland Coast and Country Food Fair. 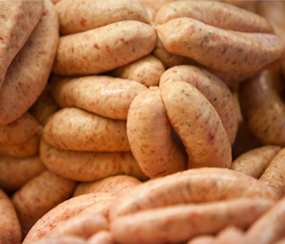 A tasty mix of our pork sausage and black pudding. Have it as part of a hearty breakfast or chopped into a warm salad. The famous banger is smoked in our own smokehouse over oak chippings. 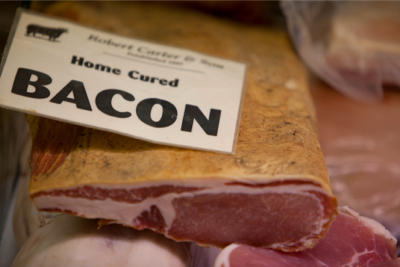 We use a special dry cure to produce bacon of the highest quality sourced from free range porkers. 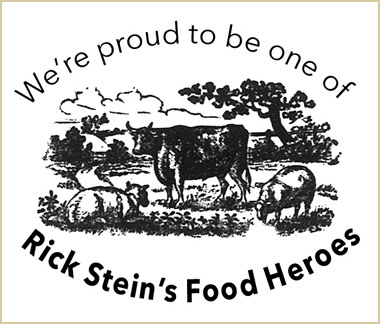 This short back bacon is smoked on the premises and was given a Gold Award.